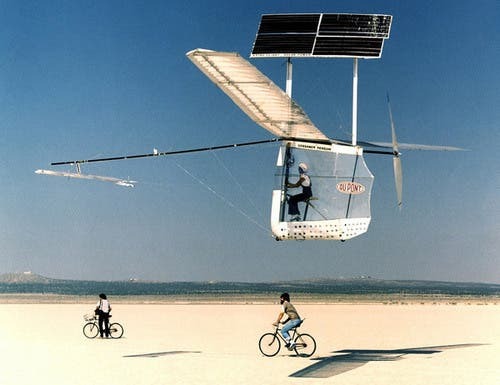 As a teaser, we've showcased the Gossamer Penguin, an experimental solar-powered aircraft cruising above a dry lakebed at NASA Dryden's Flight Research Center in July 1979 -one of many strange, woot images of NASA's early days. The images come from NASA Commons, a joint effort by NASA, Flickr, and Internet Archive to round up 50 years of photographic history of the venerable agency. The collection comprises three sections: Building NASA, Launch/Takeoff, and NASA Center Namesakes, which include pictures of experimental crafts, a variety of launches, and the people who had the Right Stuff to made it all happen.